Wednesday, March 26th, 2014 at 5:56pm. HOUSTON, Texas- Gracepoint Homes, a suburban developer that has focused in the development of some areas throughout Houston, recently presented it last project. The project is supposed to catch up with the actual housing demand that has been growing up recently in the Downtown Houston area. The developer recently opened a brand new community of 22 new homes featuring the “Tall and Skinny” concept, situated in the Houston Heights area. Wednesday, March 19th, 2014 at 1:11pm. HOUSTON, Texas- A developer from Dallas has announced its plans for the first of four hotels in the Exxon Mobil Corp Campus. The Woodbine Development Corp. and the InterMountain Management said that a site of 3.25 has already been purchased to develop an extended-stay hotel in Springwoods Village. This will be the third project these companies had developed since 2012. Thursday, March 13th, 2014 at 1:26pm. Stunning traditional style single family home for sale in Creekside Park. 18 Crystal Canyon Pl is situated on a cul-de-sac lot and features great finishing touches throughout. Creekside Park is filled with beautiful parks and playgrounds, definitely a great place for families! The home has 4 bedrooms and 3.5 bathrooms. The ample and bright master suite is on the first story and it features a nice seating area with stunning views to the backyard. The windows allow natural light in the room, doing a splendid lighting job. The master bathroom has an oversized vanity area with mirror, spa bathtub and separate glass shower. The rest of the rooms and game room display a nice neutral/beige decoration that suits perfectly well. Tuesday, March 11th, 2014 at 4:59pm. 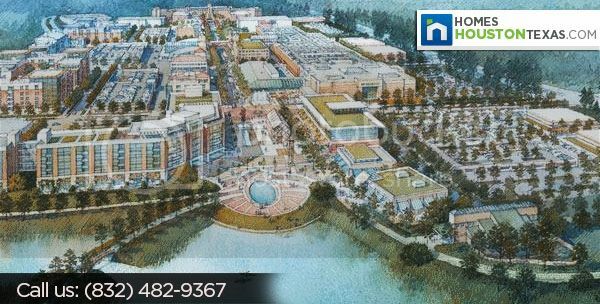 Are you looking to relocate to the most popular village of The Woodlands? Then 26 Gull Rock Pl is a great opportunity for you! This stunning 2-story listing for sale in The Woodlands is filled with gorgeous details and has beautiful stucco and brick veneer exteriors. It is also located nearby the excellent schools of the Tomball ISD, so education won’t be a matter of concern. Friday, March 7th, 2014 at 4:17pm. If you are looking to invest on commercial space in The Woodlands, here at Tamborrel Properties we have the perfect spot for you and your business. 10000 Woodlands Parkway is a one-in-a-lifetime opportunity to secure a spot along one of The Woodlands’ main streets, specifically at the corner of Woodlands Parkway and Montfair Boulevard. Located in the village of Sterling Ridge, this amazing space is surrounded by several important businesses. These includes the Walmart Supercenter just across the street and major shopping centers and residential neighborhoods within minutes. In other words, this place is perfect for you to invest. Wednesday, March 5th, 2014 at 4:10pm. While you can find many properties in The Woodlands, Texas, 50 Badger Lodge should be among your top choices. This home has the perfect combination of lifestyle and versatility that you’ve always looked for. We could enlist a number of reasons on why 50 Badger Lodge, which will soon be listed with Tamborrel Properties, should be your next home. However, this time, let us tell you a small story about this wonderful home in The Woodlands, Texas and how this story could be your story too. Located in the private gated community of Carlton Woods Creekside, 50 Badger Lodge is located on an oversized cul-de-sac lot, surrounded by an exclusive lifestyle that includes a wonderful clubhouse, a championship golf course and great events all year long. Monday, March 3rd, 2014 at 5:20pm. Coming soon, Tamborrel Properties will be having a great home for sale in The Woodlands listed: 2 Rocky Point. This wonderful home offers great amenities and an excellent location. If you are looking to buy a home in The Woodlands, this residence will be an excellent choice. 1. The home is located just across the Wilde Creek Park, which features BBQ pits, pavilion, picnic tables, playgrounds with play equipment for both young and older children and more. Both you and your kids will have a great time at this park.